Hello and welcome to Day 6 of our March Rubber & Die Release Showcase! 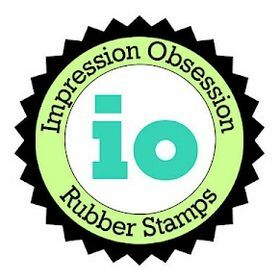 On Wednesday (21 March) Whimsy Stamps released this month's rubber designs, new Shapeology dies and new Shape EZ templates. 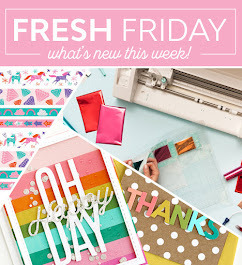 From then until 27 March the Whimsy Stamps DT and Special Guests are showcasing these fabulous new goodies with a daily mini blog hop and I am part of today’s hop! To make my card for today, I used the adorable new stamp "Lemon Pepper" by Elisabeth Bell. I used a sketch from an older challenge at Raise the Bar. Love this sketch, and have been wanting to try it forever, just didn't have any time yet or the right image. Papers are from My Minds Eye. I embellished with some die cut flowers (using the flowers and leaves die by MFT), some brads, and ribbon. The sentiment is from the brand new set "Celebrations circle pennats" by Whimsy Stamps. I used the new Whimsy Stamps circle pennant die to cut it out. 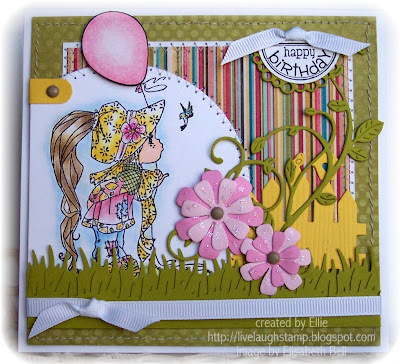 The yellow fence is also a brand new die from this month's Whimsy Stamps release. The grass was cut using Martha Stewart's grass punch. To be entered into today's mini blog hop prize draw, be sure to leave a comment on ALL of the DT's posts listed below by 12.00PM EST tomorrow. 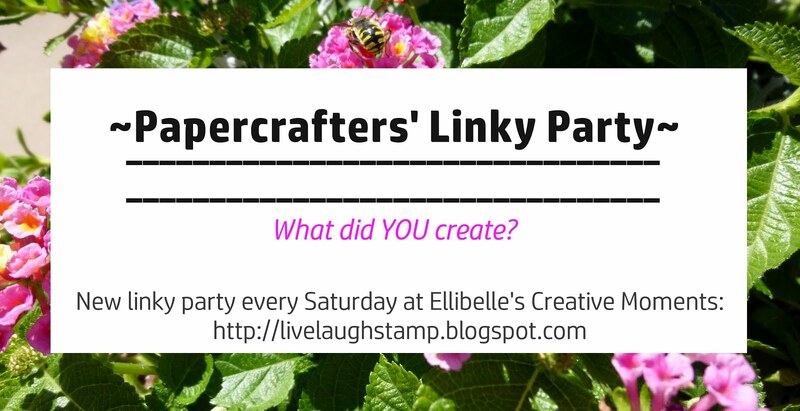 All winners will be announced on the Whimsy blog on 28 March. Very cute--great coloring and I like the papers and punches you used. What a sweet card, Ellie! I love the papers and darling image! Wonderful coloring and details! I love your card! That lil Lemon Pepper Gal image is so cute, gonna be a must have for me! Love this stamp and the dies, Great layering! Super cute card. I love the colours you used. So pretty!! Love the ribbon and the stitching!! Ellie, I love this card. I love the scene you created, the papers you chose and your coloring! Wonderful card. Wonderful card. Such beautiful colours and sweet image! What a wonderful spring card. I love the colors and papers and the image is so lovely. This is so gorgeous hun, lovely colouring, and I just love the new circle pennant dies...I really need these lol!! gorgeous card! Great stitching and layering. Love the little scene you created with the dies! She is such a cute image and you showcased her beautifully! Great card, I love the image. Fantastic colors. What a sweet image, lovely colors! abolous card Ellie,love the LO and gorgeous papers too! Super card. Love the image which has been coloured beautifully and a lovely little scene created. WOOW, gorgeous card and love the use of punches and die cuts. I love the whole card, but the grass, flowers, fence, and vines are simply wonderful additions to a perfect colored image! Oh, my ... but, your card is fantastic! LOVE it! Love the partial circle that's sewn down, and the partial fence with the vine and flowers climbing it. So pretty, love the EB image and the pops of yellow make it so springy!! Very sweet - I love the green! 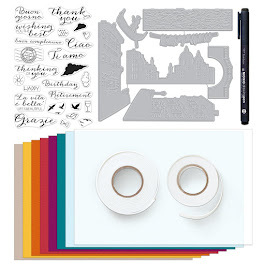 So cute, love the new image and the new dies you used. 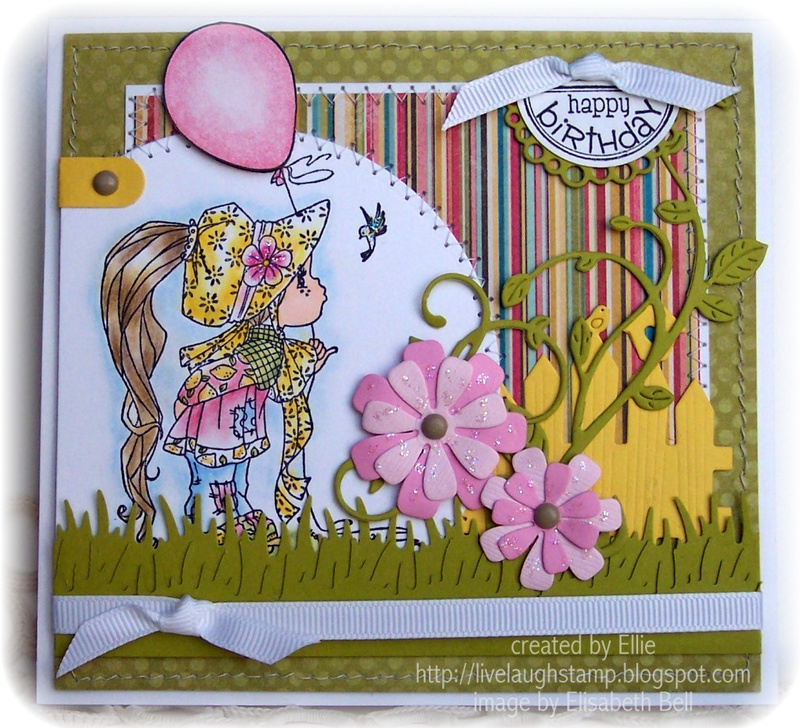 A sunny and spring-like card from you today, using my favourite, new release stamp. I fell in love with this image the first moment I saw it and you have coloured it so well that I know I must have her now. Sooooo pretty!!! Cute colours and great colouring!! Wonderful card and loving the colours,so cheerful. Very cute card, love the design. Lemon is so cute and the coloring is gorgeous. Thank you for sharing. Hi Ellie, oh how adorable is this! Love the image and your layout. The colours are gorgeous as well. This card is just gorgeous! I absolutely love it! Would be perfect for my granddaughter! This is adorable. Love it. Thanks for playing at Totally Gorjuss. I have some candy on my blog. 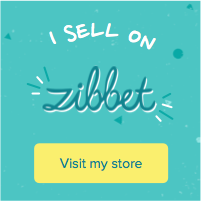 Thank you for joining us at Gingerloft! Such a sweet card! I love the grass and vine! Fabulous card ! Love your colors and all the details. Wow, so beautiul colors, wonderul card and so wonderful szene! Thanks for joining us at un with shapes and more! Wonderful card Ellie! Perfectly colored image and awesome details! Great job on putting your card together. All the pieces really make it fab. Thanks for playing along with Paper Sundaes.